How to use Instagram hashtags to make people love your brand? Do you remember the most recent time you used Instagram? Just a few hours ago? Or only yesterday? I’m somewhat ashamed to admit that when our alarm starts ringing, I swipe right on my smartphone and instantly open Instagram or Facebook app. There’s something so pleasing and addicting about scrolling via the visual feed to start my day. However, there is a fact I’m not alone! Millions of people also start their day in this way! Maybe so do you. Just past four years, two friends with a dream is that their business will go global and take shares with more than 70 million photos and videos each day. And today, they gained over 300 million users Instagram. If millions of people are either on or likely to join Instagram, why isn’t your business? Companies are scrambling to stay ahead of the game by catching up innovations. With an average of 80 million photos posted each day and 3.5 billion likes, it’s a valuable platform to put into your social media marketing mix strategy. It’s no wonder that your brands need to take Instagram marketing trends very seriously. In addition, people love image-based media. So marketing with image-based platforms like Instagram provides a more engaging way to capture the attention of the customer. The priority goal on Instagram is to engage with current audiences while also growing your following. Many brands are leveraging branded hashtags, but not all of them are using it in the right way. Always be up-to-date and make your photos more interesting and engaging only satisfy the first requirement. Furthermore, it is extremely important to make your brand easier to find among thousands viral via hashtags. So how can I use hashtags for my business? Like with Twitter, Facebook or other social networks, users use certain hashtags to mark their brand. If you use the right hashtags within your photos, you’re much more likely to reach new users and be discovered. 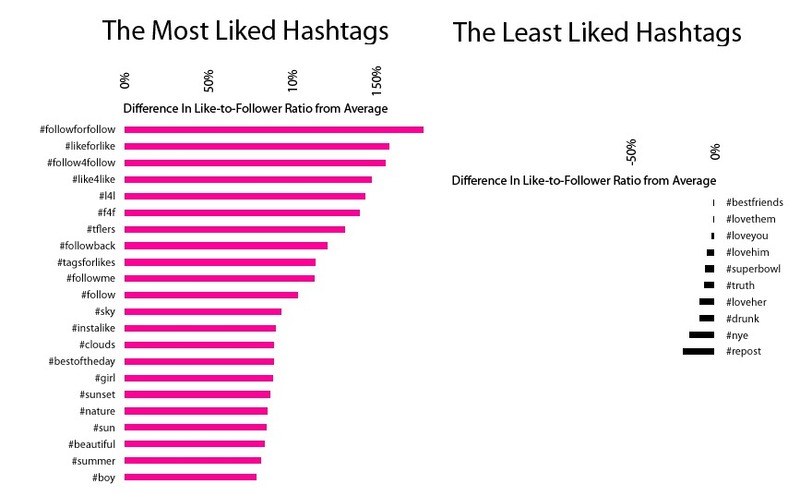 Here is the list of the most common hashtags with positive effects on like-to-follower ratio is dominated by reciprocity and nature references. 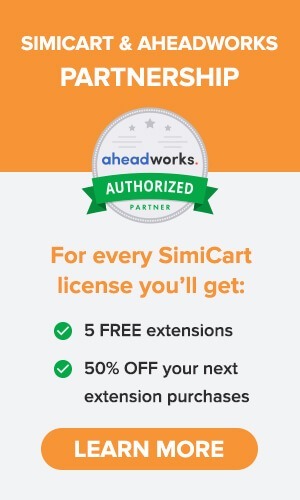 If you look at the list above and said that none of those apply to my products and brand, you’re likely correct. Using hashtags is one thing, using the right tags is a completely another thing. Some tags listed above make your brand more engaging, however, not all of they will lead to increased engagement, new interested followers and most importantly sales in the long term. 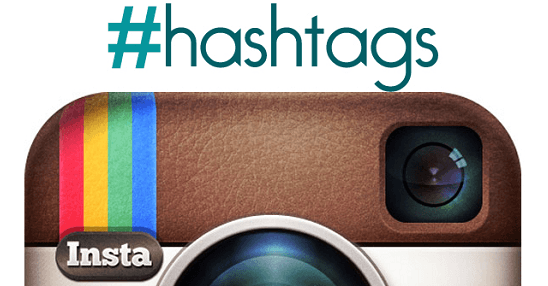 Want to tag your photos properly, find and use the most relevant hashtags. This means that you need to research to find appropriate keywords that not only describes your brand but also is being searched on Instagram. To find relevant hashtags, use these free online program: Webstagram or IconoSquare. 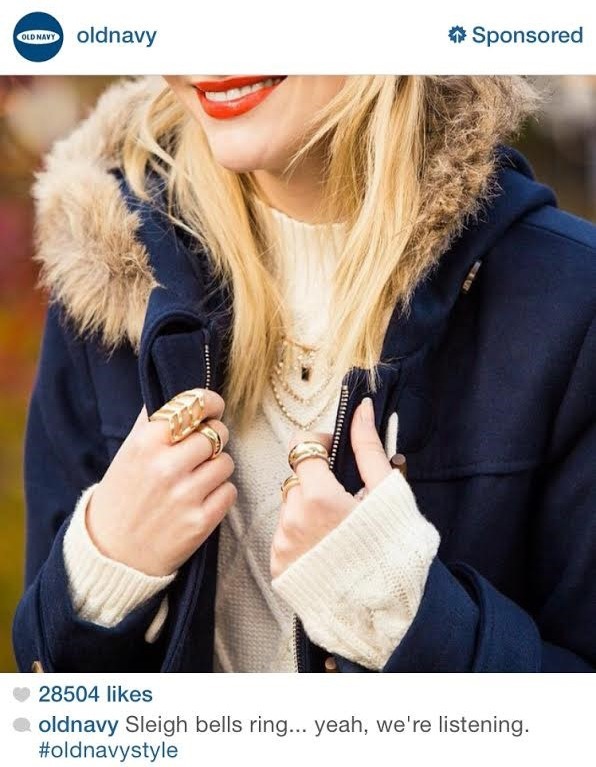 For example, you want to find relevant, related and popular hashtags for your women’s accessory brand. Let’s use Websta and search the hashtag #MensFashion, you will receive the result for hashtag #MensFashion and an additional keyword hashtags list with the number of times they have been used. Keep in mind, Instagram allows you use to the maximum of 30 hashtags per post. The popular words will change over time, revisit your hashtag keywords every month to make sure it is up-to-date and you’re using the best possible terms. #photooftheday: Choose a behind-the-scenes photo of your company and share it as the photo of the day. #selfie: Take a selfie while your company are working and share on your Instagram account. #motivationalmonday: You can add some positivity to your feed by enjoying a motivational Monday for a good working week. 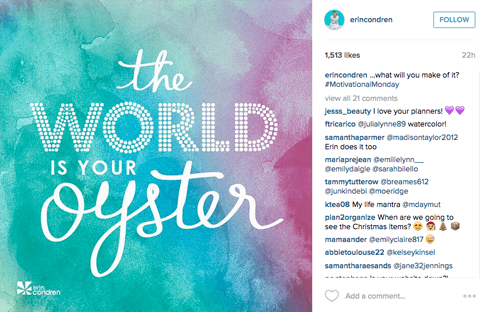 ErinCondren uses #motivationmonday to inspire and connect with her followers. Remember to create a plan to share throughout the week using this hashtag. #blogging: While you’re writing a new blog post, screenshot a photo and then add it on your Instagram with using this hashtag. #newblogpost: You’ve just published a new blog post, share your featured image on Instagram and add this hashtag. It will direct people to your blog via the bio. #instablogger: This is another tag to add to your blogging hashtags. 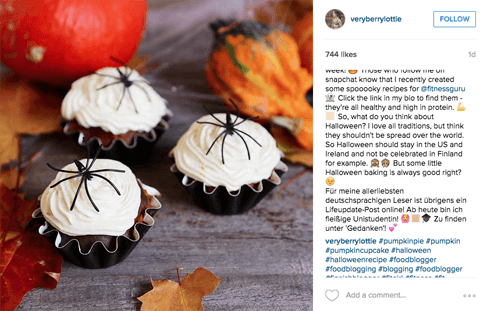 Veryberrylottie uses the hashtag #blogging to let her followers know about her latest recipes. 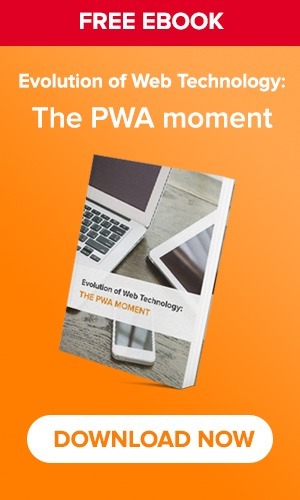 She uses a call to action to prompt them to click to her blog. After following these tips, dig your smartphone out of your pocket and start snapping photos at every opportunity because Instagram is where it’s at! Have you tried Instagram for marketing your business? 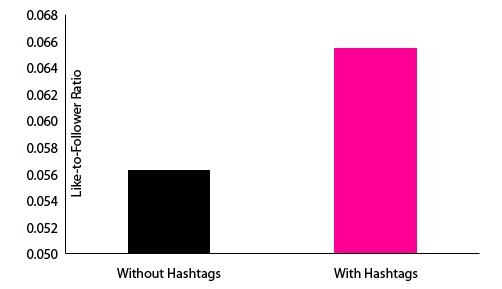 What kinds of hashtags on Instagram you often use? Have you tried any of these hashtags? If so, what do you find resonates best with your audience? Tell me about your experiences below! I'm an introvert who loves to figure out how things work and share it with people. Working in 2 biggest trend - mobile and e-commerce - really helps satisfy my curiosity.